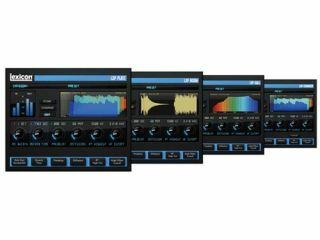 It looks like Lexicon is set to follow up the launch of its PCM Native Reverb Plug-in bundle with the announcement of the LXP Native Reverb Plug-in Bundle at Frankfurt Musikmesse 2010. A teaser pic has appeared on the front page of the Lexicon website, and at least one retailer is already listing the LXP bundle. It appears that this will contain four algorithms: Chamber; Hall; Plate; and Room. Early reports suggest that 200 presets will come included, and that the plug-ins will run in mono, stereo, or with mono input and stereo output. A graphical real-time display, meanwhile, looks set to show the frequency stages of the algorithm that's currently in use. Pricing for the LXP Native Reverb Plug-in Bundle, which will be cross-platform and supportive of the VST, Audio Unit and RTAS standards, will presumably be confirmed in Frankfurt next week.